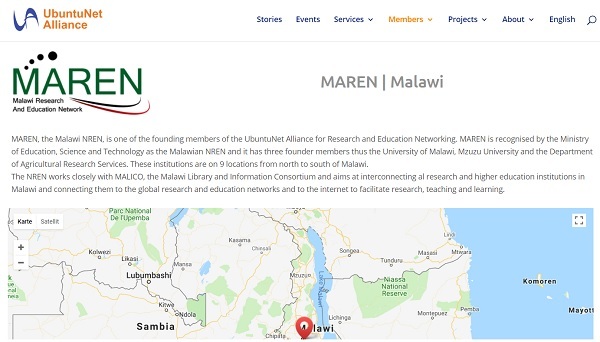 Malawi Research and Education Network (MAREN) is also now connected to the UbuntuNet Network : The regional Research and Education Networking organization for Eastern and Southern Africa! Congratulations to AfricaConnect2 and all partners on this achievement, and making all possible! ICT Infrastructure, stable Internet connectivity and support services crucial for Open Data sharing across disciplines. Recognising the importance of building on the interests and consensus of local partners, the AfricaConnect2 project adopts a modular approach adjusted to the specificities of the African sub-regions. International Data Week 5-8 November 2018 - Registration Open! During the 14th International gvSIG Conference (24th-26th Oct 2018) in València, Spain there will be a GODAN AgriGIS session with presentations in Agriculture themes. Your contributions and inputs on AgriGIS, Food Security research and examples are welcome. Please send your abstracts through the abstract submission section of the conference website. Ready for Open Access Week? 22-28 October 2018, Globally!